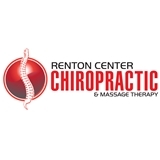 Renton Center Chiropractic (Renton) - Book Appointment Online! Very quick to analyze and diagnose me, fixed my back pain problem immediately and provided me a plan for required revisits for complete fix my back pain. I would have liked some recommendations from him though on how to make sure it wasn't aggravated, I had to ask specific questions to find out what I should or should not do to make it better/worse. Having said that, he did a good job fixing my problem and I'd recommend him as a chiropractor.